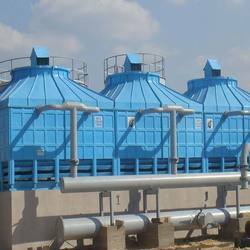 We are among the leading Supplier & Manufacturer of Cooling Towers & FRP Counter Flow Towers that are highly lauded in the market owing to their efficiency and for being highly durable. Apart from this,Our product range also comprises of Industrial Towers, Industrial Boilers and Industrial Vessels And Storage Tanks to name a few. Followed by this our products available at he most leading price and all the essential raw materials are procured from the trusted market vendors. Abiding by the ethical norms of the industry, we are engaged manufacturing and supplying RCC (Reinforced Cement Concrete) Cooling Tower. Available in various specifications as well as in custom-built range, these cooling towers comply with industry set standards. In addition to this, our professionals employ advanced machines and use quality approved material sourced from the authentic vendors of the market. 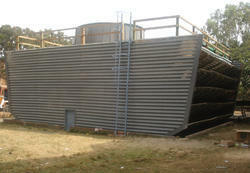 We are among the prominent organizations engaged in manufacturing and supplying Timber Cooling Tower. These timber cooling towers are manufactured in accordance with international standards by using high grade material procured from the authorized vendors of the market. In addition to this, a team of experts supervises these cooling towers at the manufacturing stages, so as to maintain higher quality standards. 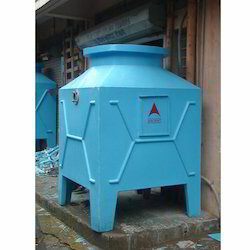 We are associated with the offerings to our clients with high-grade FRP Counter Flow Towers. These FRP Counter Flow Towers are the equipment used to cool & adjust the temperature process of hot water at a specific level. Our robustly manufactured array of FRP cooling towers is designed using the most advanced technology. Thus, it incorporates the ability of resisting wear and tear. 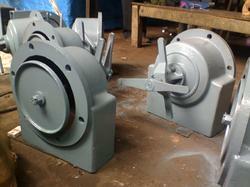 These towers are mainly designed for application in commercial and industrial purposes. 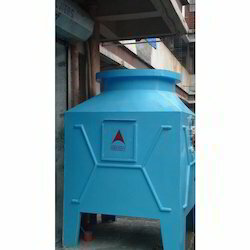 Owing to our expertise in this domain, we are engaged in manufacturing and supplying Natural Draft Cooling Tower. In order to manufacture high quality cooling towers, our professionals follow the established guidelines of the industry and utilize premium quality material sourced from the authorized vendors of the market. Suitable for maximum cooling per cubic foot of tower, these are rigorously examined on different parameters to ensure their flawlessness. 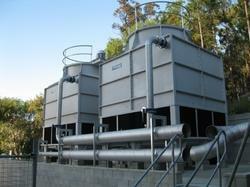 We are among the prominent organizations engaged in manufacturing and supplying Cooling Tower. These timber cooling towers are manufactured in accordance with international standards by using high grade material procured from the authorized vendors of the market. In addition to this, a team of experts supervises these cooling towers at the manufacturing stages, so as to maintain higher quality standards. In order to append and respond to the diverse requirements of esteemed clients, we are able to offer Industrial Cooling Towers. The offered range of industrial cooling towers is made utilizing high grade raw material and innovative technology in strict compliance with the international quality norms and standards. Along with this, the offered range of industrial cooling towers is applicable in different renovation or new construction projects. We are the leading manufacturers & suppliers of vivid range of Cooling Tower Spares such as FRP Fans, PVC Fills & Motor & Gear Box etc. 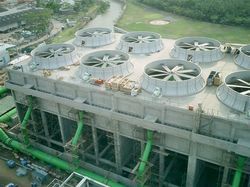 We provide right spares for all Cooling Towers. We are offering Cooling Tower Spares.